198X, an upcoming game by a Swedish studio and team of international pixel artists, isn’t just set in the 80s. It’s visiting most of the decade’s biggest genres in the one game, from arcade driving to beat-em-ups to JRPGs. The project is up on Kickstarter—I know, I know—but I’m digging the art so much I thought I’d share anyway. 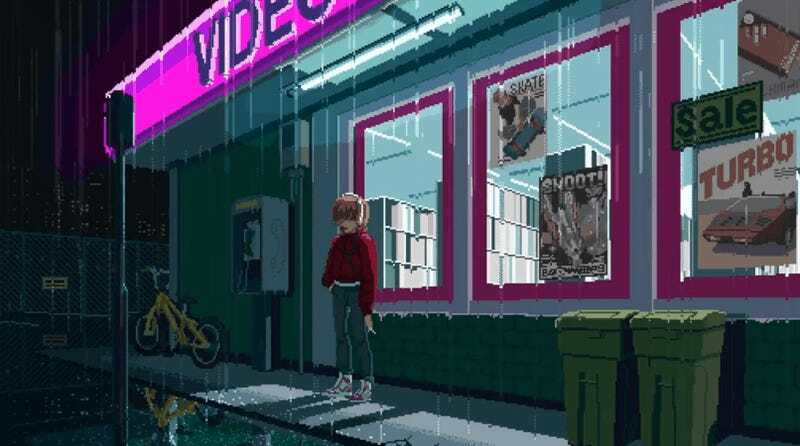 The game is about a kid visiting a suburban arcade, so these five genre homages aren’t just passing nods, they’re the core of the game, and you have to play through each of them. They’re hoping (yes, yes, Kickstarter) to have it out in early 2019 on PC, Xbox One, PS4 and Switch.